The East Coast Commercials group was founded in 1987 by Don and Gerry Gulley in a small yard on the corner of Boundary and Beaudesert Roads in Coopers Plains, Brisbane. 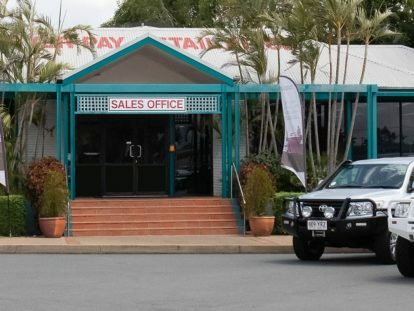 Since then, East Coast Commercials has grown throughout Queensland and now has four dealership locations in Brisbane and on the Gold Coast and Sunshine Coast. We stock a huge range of used 4X4, new Fiat commercial vehicles, light commercials, trucks and buses. We are confident in the quality of our used vehicles and welcome RACQ inspections. Search our full range of Used Commercial Vehicles online now. We know that our customers can recognise a good deal and a good vehicle when they see one, which is why at East Coast Commercials we are committed to giving you the best value and best quality vehicle possible. Take a look at our Warranty Page for more information about our Extended Warranty Program. We provide guaranteed titles in writing to give you financial peace of mind and assurance. For more information about the cooling off period, please Contact Us and speak with a friendly member of the East Coast Commercials team today. We make car finance easy! You will be driving your next commercial vehicle in no time. Apply for Vehicle Finance online now. Trade-In your current vehicle and choose from one of our 400 vehicles in stock. Alternatively you may want to sell your vehicle outright. Either way, we have a solution for you. Our dealer principals work on-site daily, are approachable and friendly, and have extensive knowledge of the industry. At East Coast Commercials, we do not believe in forceful sales tactics. Which is why we strive to provide a friendly no pressure environment for our customers. We have been specialising in the resale of commercials vehicles since 1987. We have also been a member of the Motor Trades Association of Queensland for over 27 years and obide by their code of ethics.